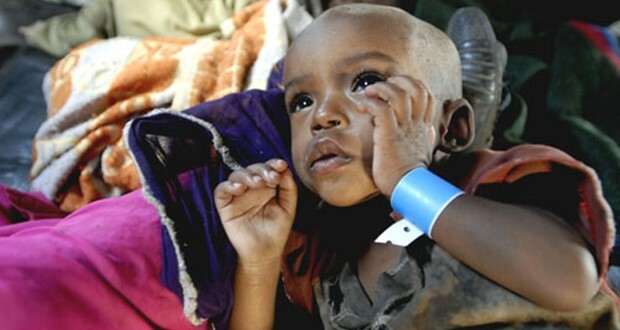 NAIROBI, Nov 2 (Thomson Reuters Foundation) – Donors are not responding fast enough to urgent calls for more aid to drought-stricken Ethiopia where record-breaking numbers of children are suffering malnutrition, the United Nations said on Monday. Ethiopia is experiencing its worst drought in decades, after low and erratic rainfall during the spring and summer, leaving more than eight million people in need of food aid. “The El Niño-caused drought emergency is worsening and is worryingly underfunded despite repeated calls by the Ethiopian government and humanitarian partners for additional funds,” the U.N.’s Office for the Coordination of Humanitarian Affairs said. The El Niño weather phenomenon, caused by Pacific Ocean warming, is causing droughts and floods across eastern Africa. The number of children admitted to hospitals with severe acute malnutrition, meaning they are likely to die without therapeutic feeding, has hit record levels, the U.N. said. In September, there were more than 35,000 new admissions, bringing the number of children under 5 years old treated for SAM this year to more than 250,000, the U.N. said. Children are falling critically ill because of the failed rains along with shortages of food aid, particularly supplementary nutrition given to the most vulnerable members of the population, it said. Women and girls are travelling up to 30km (18.6 miles) a day in search of water, their burden increased by the death of their livestock. “They are now carrying loads, which otherwise would have been carried by their donkeys,” it said. The number of hungry people in the region is expected to almost double to 22 million in early 2016, from 12 million a year earlier, the U.N. said. Ethiopia, with the second largest population in Africa, will require the lion’s share of aid, despite its impressive double digit economic growth in recent years. The U.N. said 15 million Ethiopians, about 15 percent of the population, will likely need emergency aid by early next year. Ethiopia’s government provided $192 million to respond to the crisis last month, but the U.N. said another $348 million is needed for the remainder of this year. Humanitarians and the government have been briefing donors, several of whom have made pledges, but these are “insignificant” in relation to need, the U.N. said late last month.